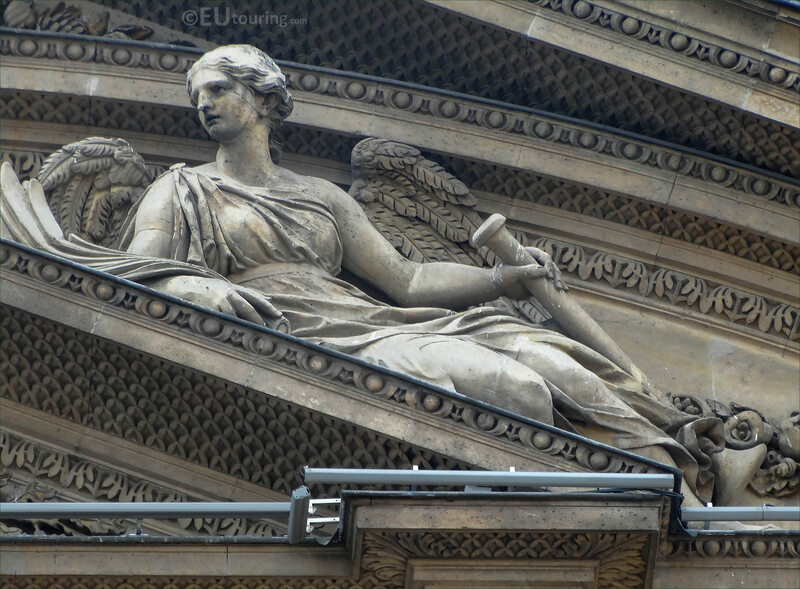 While we were at the Musee du Louvre in the 1st Arrondissement of Paris, we took these high definition photos showing a statue called a Renommee, which was sculpted by Philippe de Buyster. 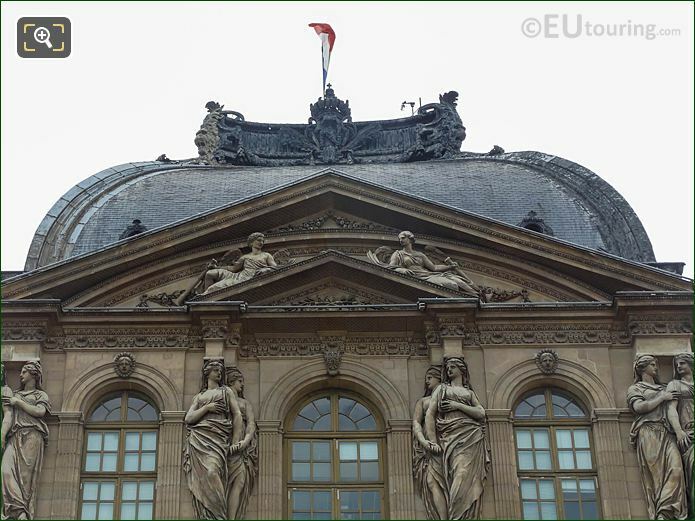 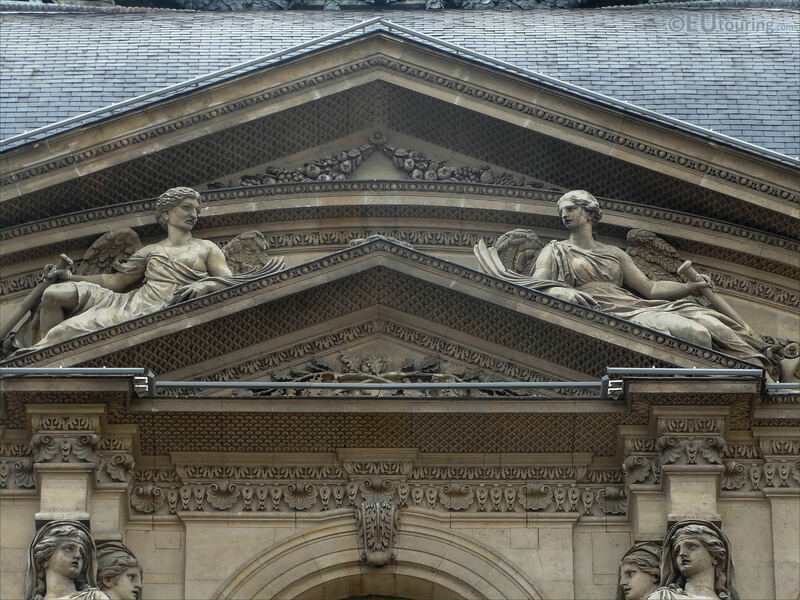 This first HD photo shows two statues called Renommees that are located on the pediment of the Pavillon de l'Horloge of the historical pavilion on the former Palais du Louvre, and the right hand side one was sculpted by Philippe de Buyster, yet the left hand side one was by a completely different artist. 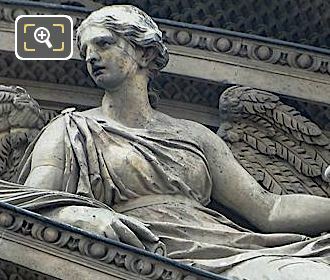 Now here you can see a close up of the Renommee statue, which is a mythological winged female figure sometimes referred to as a Fame, that was actually designed by Jacques Sarrazin who designed many exterior and interior embellishments for royal castles and private mansion houses. 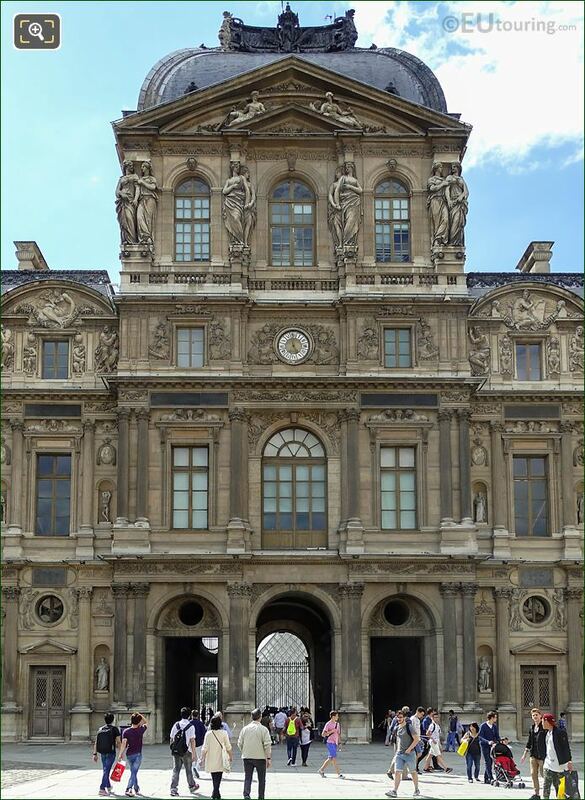 However, as we mentioned earlier, this was sculpted by Philippe de Buyster, who was born in Antwerp in 1595, yet moving to Paris and working on sculptures and statues for numerous churches like the Val de Grace, he became one of the sculptors for the king, which led to Philippe de Buyster working on palaces including the Palais des Tuileries, Chateau de Versailles and the Palais du Louvre. 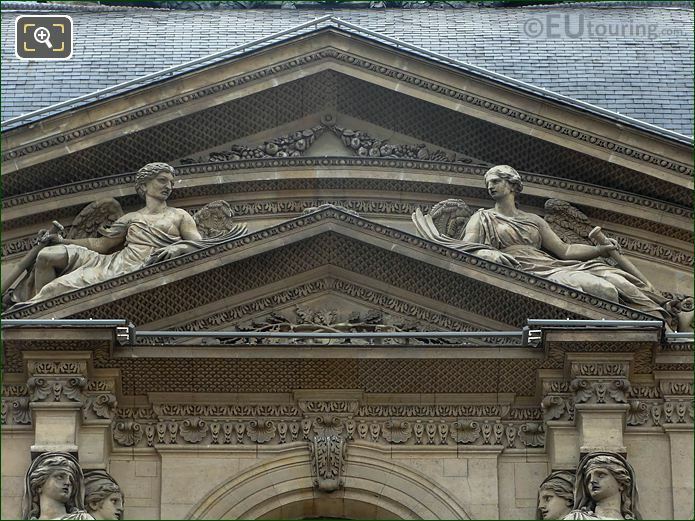 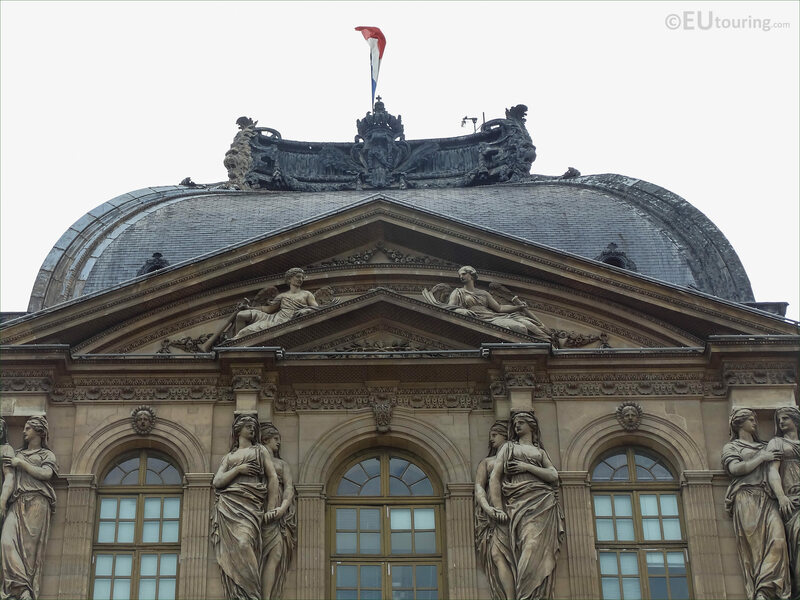 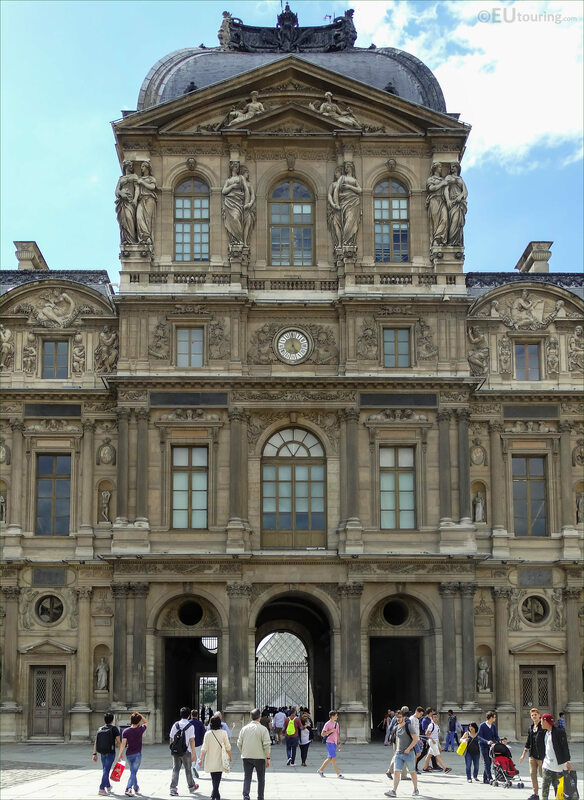 Yet this photograph shows the entire facade of the Pavillon de l'Horloge with the top pediment and the Renommee, or Fame statue, which was put in place in 1638, and you can see the historical clock pavilion of the Louvre Museum from the courtyard called the Cour Carree, with the portals or entrance gateways at the bottom that leads to the Cour Napoleon.